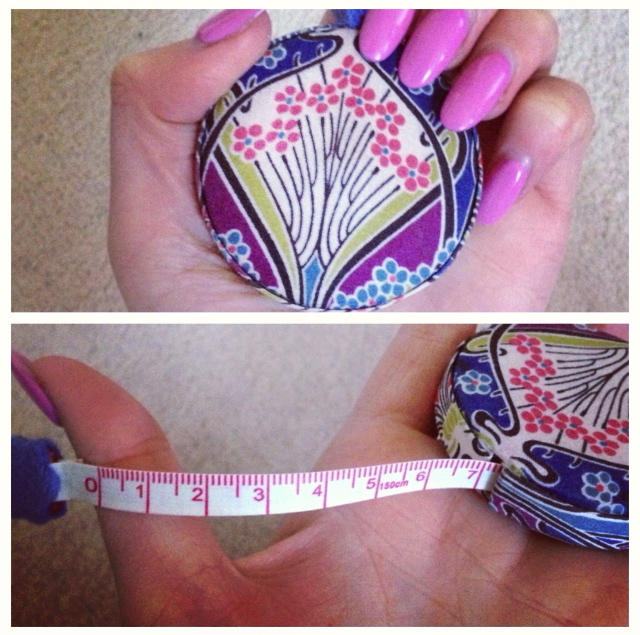 SUZYBLUE: OOTD/London goodies/Most adorable grandpa EVER. I’ve got another little OOTD for you, or maybe I should say OOYD because this was yesterdays outfit! 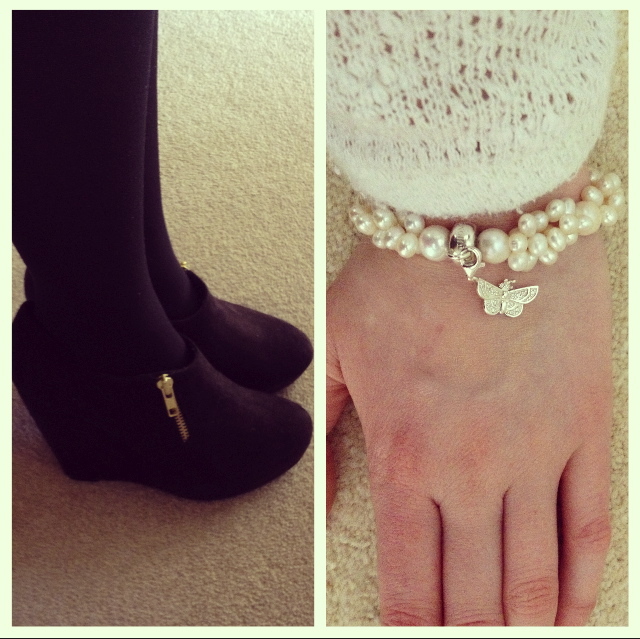 For shoes and accessories I kept it very simple, a single pearl charm bracelet and black wedges keeps this look suitable for everyday wear. I think i’ll definitely be pairing girly skirts with chunky knits a lot this season-warm yet glamorous! Perfect! Deciding to trek home for a visit the weekend just past was definitely a smart move on my part! 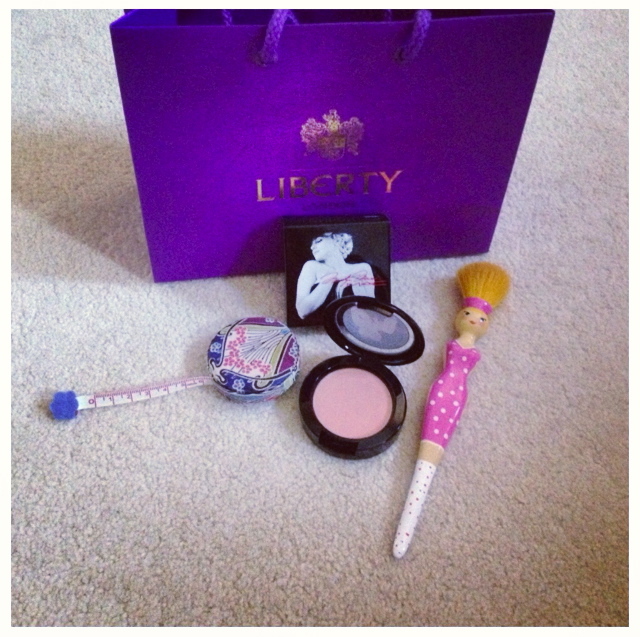 My parents had just returned home from a trip to london which could only mean one thing...GOODIES!!! Being the best, most perfect daughter ever, I think they felt compelled to treat me with material goods to thank me for my existence...KIDDING, I am very greatful for the presents! 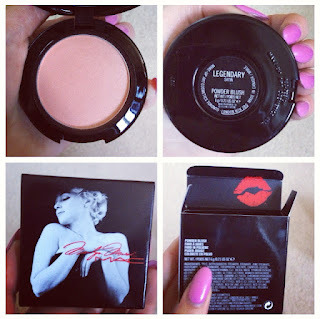 I’ve been DYING for a little something from the Marilyn Monroe collection from MAC for agesssss, so I was thrilled when I saw this blush in the goody bag! It’s such a pretty colour-definitely my new go-to everyday blusher! 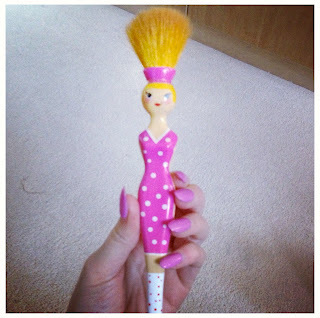 And how CUTE is the blusher brush? Am I right?! The final little treat was this liberty print tape measure, so gorgeous and fits perfectly with the course i’m doing at uni! THANK YOU MUM AND DAD I LOVE MY GIFTS AND I AM VERY APPRECIATIVE! To top off a lovely weekend, my mum cooked us all sunday dinner, which was the icing on the cake for my visit home. DELICIOUS! 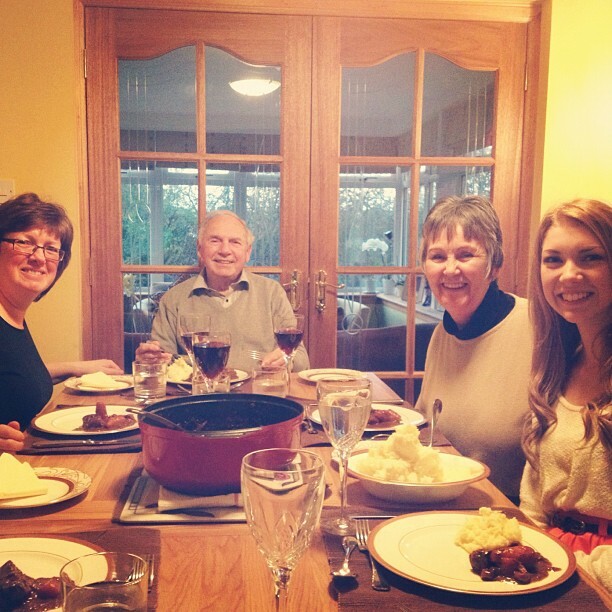 Lets all take a moment to appreciate how adorable my grandpa looks AWWWWWW! !